I am now working on my Las Vegas trip album. We went there last year and travelled around a little bit. 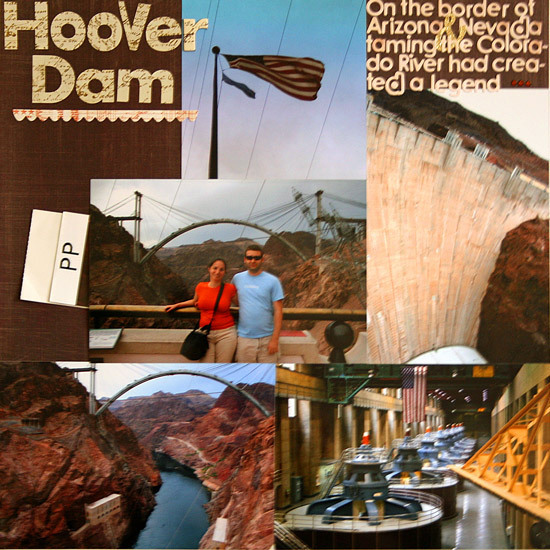 We were truly inspired by the story behind the Hoover Dam and I wanted to highlight the story in my album. That’s why I decided to write down the story using letter stickers. It really emphasizes the story portion of the layout. The micro mono stickers by Basic Grey are PERFECT for the job. They are small enough to stay in proportion and there are multiple stickers of each letter – both lowercase and capital letters. You really get a ton of stickers per sheet – and in the rare case you run out of a letter (like I ran out of ‘d’s) it is really simple to cut around the letter and use its outline instead, which also add a nice graphic element to the journaling. Check out how I tucked in the ticket to the power plant tour underneath the picture on the left side of the layout. I do that a lot to keep souvenirs from my trip. All I do is apply the adhesive just to 3 edges of the photo, so it creates a pocket. If the ticket is on the smaller side, I add a strip of adhesive in the middle, to keep the ephemera from getting buried inside the photo pocket. A week before American Thanksgiving lets try to remember together the kind strangers in our lives and give them thanks. Think about all the faceless people around you. People you have seen once, never before and probably never again. Think about the person who stood before you inline and after one glance at your stressed expression, or nagging child, gave you his place in the queue. Think about the person who made you smile while you were upset, without even knowing. It doesn’t have to be a recent encounter, either. It can be a person you had stumbled upon long ago but you can still remember his random act of kindness or the lesson you have learned from him while your lives had briefly brushed against each other’s. Now, open your journal and write. Document your chance meeting and what you have gotten out of it. Write down how the stranger has enriched you, even if just momentarily and express your sincere gratitude. Start a gratitude journal and register these random acts of kindness regularly. Don’t constrain your thanks giving to your near environment, remember the strangers in your life too. After all, every one we come across makes a dent in our life, leaves an impression and these accumulated marks are part of what makes us ourselves. Which stranger would you like to thank and why, participate in the discussion by leaving a comment on this post. Beauty holds great powers. 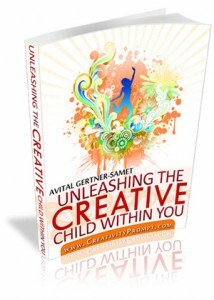 One of its super-powers is to break through blocks, including the writer’s block. When you look at an inspiring picture, the beauty in it so vast, so powerful, words start to come up by themselves. At first you can only identify a few single words, scattered in the wind of thought, but the longer you look at the picture, the more you can keep up with the flying words and identify more and more of the words and string them together into beautiful sentences, portraying everything you see and feel while looking at it. For this week’s Journaling prompt I urge you to look at some amazingly inspiring pictures and follow the word flood. You will be amazed with the results this technique yields. Don’t stop at other people’s photos. Take a look at the latest pictures you’ve taken or at your favorite ones and start writing. 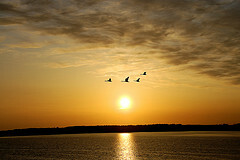 Narrate the beauty and transfer it into words. Please share your narrated beauty! I’m looking forward to read about your beauty in the comment section of this post. This week’s journaling prompt is inspired by my mom, who read to me in confidence something she had written in a time of change. Let me backtrack a little bit, tell you something about my mom and tie it all in with Monday’s inspiration prompt. My mom used to be a teacher. She was the kind of teacher who gives part of her body and soul to her students. She used to teach in schools whose students came from a social economic background that did not leave much hope – but my mom had given hope to her students, who had won national writing contests with her guidance and encouragement. After many years of teaching children, she was injured while guarding a kid at school with her own body. Using her human shield she took on a kick aimed at a kid that had ruptured her liver and could have killed the poor kid. 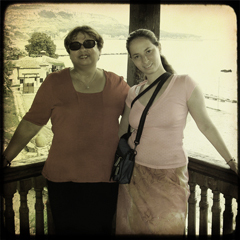 My mom, the fortress of comfort and safety, became sick. Her body weakened and after a few more years she was asked to retire for medical reasons (after repeatedly winning educational trophies – each and every year). The early retirement (just a few years before she was at the legal retirement age) hurt her more than the kick and its medical repercussions has ever done. She lost her ray of light – helping children reach their full potential. Little by little, year by year, she started withering in a way that had broken my heart. She stopped thinking about herself altogether and only lived for others. Only cared for others. Only breathed for others. Just a week ago she called me and for the first time in a long time she looked genuinely happy. She said she has decided to take a step towards accepting herself and loving herself again and she is going to do that through writing and painting. Then she read to me. She wrote about how writing makes her feel. I am so happy for her and wish her only the very best. Hopefully her new teacher will be as wonderful to her as my mom was to her students. I want to spread my mom’s educational spirit and encourage you to take the time and list what are the things you can do for yourself, what activities can you engage in, that will make you feel better and love yourself. How can you treat yourself better? leave a comment below and share with me. I love hearing from you and I almost always reply. What can I say? Life happens. I don’t know if I mentioned this before, but for the past 3 months my husband and I have decided to transform our lives into healthier ones. Non of us was really heavy but we were gaining weight – little by little – and feeling bad, both physically and emotionally. Weight can really creep up on you. From being a skinny teenager that eats chocolate non stop and only seem to get smaller, you become an adult that can gain weight from merely standing in close proximity to food. That’s life. So we took control over our bodies, started eating healthier (that doesn’t mean less food. It means healthier, more nutritious food) and we wake up each day at 6:30 a.m. and go together to the gym for a strenuous workout that includes both aerobic and weight training. We see results. GREAT results (especially my beautiful husband). But every once in a blue moon we have a day in which we feel more tired and energy-less than usual. This is such a day. So there will be no free tutorial this week. HOWEVER – I am not missing a tutorial without leaving something nice for you guys instead. So I am including a freebie printable journaling labels for my fabulous readers to play with (right click on the link and opt for the ‘save link as…” option). Just print on cardstock and cut out with scissors. I used cream colored cardstock and it looked great on it. Print as many as you want for personal use only. If you print out and use these labels please leave a comment and tell me if you liked them. Thank you! Have you checked out the new workshop: “MAKE YOUR OWN PLANNER 2010”? Halloween is right around the corner (for those of you celebrating this holiday). This holiday had started as a Celtic New Year ceremony and evolved along the years to a festival of the dead. In north America houses are being meticulously decorated with spooky decorations and jack-o’-lanterns. For a different spin on the traditional holiday journaling about “Trick-or-Treat” adventures, the evolution of a costume or transforming the house, try to foster the holiday spirit by registering a real life spooky experience you have once had. Have you ever been through scary circumstances? Has a scary looking person ever come across your way? Have you ever stood up close to a scary animal? Have you ever experienced a scary incident/event? Have you ever had to do something scary? 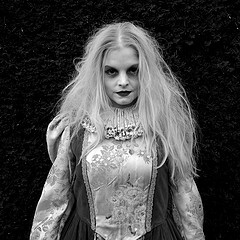 Have you had a real life spooky experience you’d like to share with us? Share by leaving a comment on this post. 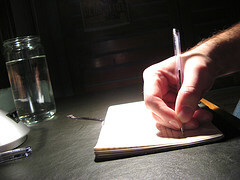 The beginnings are the most difficult step in journaling (or any type of writing). Staring at a blank screen, a blank paper or an empty journaling tag can be very frustrating. After the first sentence is drizzled onto the paper, the rest usually follow in a potent stream. Having said that, the beginning is many times the most important part of our journaling. The opening words are like a welcoming committee, inviting the reader to keep on reading. I have a great technique that solves the “opening-syndrome”. Instead of desperately looking for the right words to come out, borrow the opening sentence from your favorite book, or the book currently on your nightstand, and go on from there. To help you with this technique here is a list of the 100 best first lines of novels. Now let see if you are up for a challenge – try to write a complete entry in your journal (or a short story, or journaling for a layout) using ONLY opening lines of other books. Have you tried this technique? Was it helpful for you? Have you challenged yourself with the extreme version of this technique? I’d love to read it, so please share by replying to this post. Any words will take a way from the story which the photos depict succinctly. For this week’s journaling prompt try to accompany powerful photos with a series of powerful words that set the tone. No more. No less. Don’t use whole sentences but rather single words. Try to add a powerful verb. Concentrate on the mood and setting of the story. Have you tried this journaling technique before? Do you feel less pressure when writing a bullet-point list? Share your thoughts by living a comment on this point. To set off this technique share a list of words that describes your day today. I am looking forward to hear about your day! Here at the Bay Area in California the mornings are chillier. The foliage has just started to lose its bright green sheen. When you stroll along the sidewalk you may even spot a fallen leaf or two. You may barely notice but the season is changing. To seize the season this week’s journaling prompt is calling you to record your special fall traditions (or which ever season you experience now). Is it “bathing” in colorful leaves? Is it going to the pumpkin patch? Is it sipping a venti pumpkin spice latte? Is it cooking your first batch of soup? 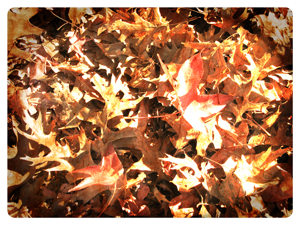 What is it that you do when you wake up in the morning and notice the fall has arrived? Is it fall where (and when…) you read this post? Share by leaving a comment on this post. I am excited to hear about your traditions. Making the bed at 6:30 am. Heaps of laundry to wash, dry and fold. A dinner than won’t make itself after a hard day at work. Children toys scattered all over the place. A carpet that needs vacuuming. Floor that needs moping. Bathroom that need cleaning. Annual report that will certainly not compile itself and the list is loooong. Where is perky Mary Poppins when we need her. With a snap of a finger, the sheets will make themselves. The dinner will be ready. The house will get clean and tidy and all our work will be done and ready on our desks. For this week’s journaling prompt entertain yourself with the idea that you can get things done with a snap of your fingers. What will you wish your fingers to take care of? 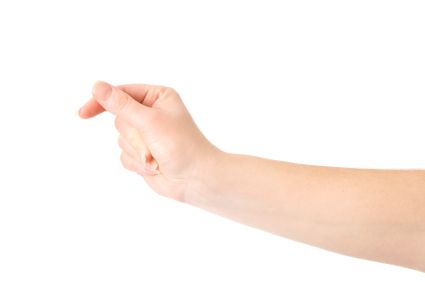 List 10 chores you would gladly hand over, with a snap of a finger. This can make a great layout or a mini album, entitled: “With a Snap of a Finger…” It will be a great idea to entertain yourself by, but also a document of your daily grind. What would you hand over to your fingers? What are your most tedious chores? share by leaving a comment on this post.